Welcome, you have reached the website of Lake Hill Lawn Bowling Club, good to have you here. Lawn bowling is our game, having fun is our aim. Much as we enjoy the game of lawn bowling, our club members enjoy year round activities including short mat bowling in winter and the fellowship of our members for activities such as Tai Chi, card games and fun night dinner parties. The aim of our group is to enjoy casual games, with the emphasis on enjoy, and leave the competitive bowling for tournaments. Our teams in inter-club tournaments are becoming a force to be reckoned with and we congratulate all of them. What is it? Bowls, as it’s properly called, is related to boules (France), and bocce (Italy). Players roll (not throw) a bowl (not a ball) toward a smaller ball called a jack; the players who get closest to the jack earn points and the players with the most points win. What makes it challenging is that the jack moves with each round and the bowl is “biased”, or weighted on one side, so it rolls in a gentle curve. It is simple to pick up the sport, but it’s challenging to learn the intricacies of it. Come and join us for fun and exercise in fresh air and for indoor activities in our new clubhouse when the air is too fresh or wet. 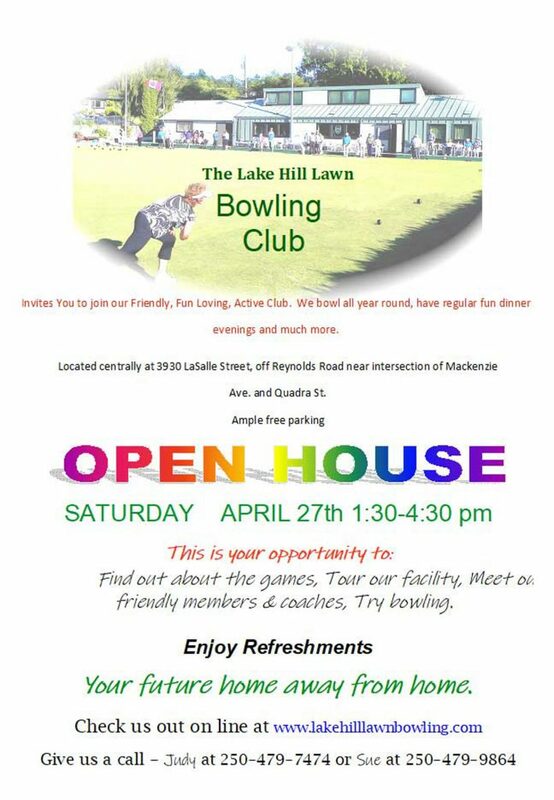 Make Lake Hill Lawn Bowling Club your home away from home. Click here to email the Head Coach to arrange free lessons and to experience the sport first hand. Additional contact information is provided on the Contact Us page.